After last year’s more substantial update to the firm’s enthusiast oriented Coolpix P330 model, this year’s iteration is a less ambitious revamp. The Coolpix P340 shares seemingly the same, larger than average 1/1.7-inch type 12-Mpix BSI CMOS sensor and stabilized 24-120mm equivalent f1.8-5.6 Nikkor lens as its predecessor. It also adopts the cameras shell and similar rear 3.0″ 921k-dot LCD, though now it has an antireflective coating. The main difference between the two, however, is the inclusion of WiFi for both remote control and file transfer to app-driven smartphones. This replaces the GPS function of its predecessor but is, perhaps, likely to be a more used feature. Elsewhere there have been a few minor modifications. The camera’s control ring surrounding the lens has click-stops and some weight has been shaved off the original’s 7.1 oz (200g) to 6.9 oz (194g). And although the P340 shares the same Li-ion EN-EL12 battery, improvements of around 10% have been made to the life, equating to around 220 shots per charge. Like its predecessor, the Coolpix P340 is well equipped for capturing movie clips. It has Full HD (1920 x 1080) and 720p video capture up to 50/60 fps, including 25/30 fps with stereo. 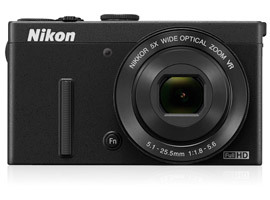 The Nikon Coolpix P340 is available now at around $400. 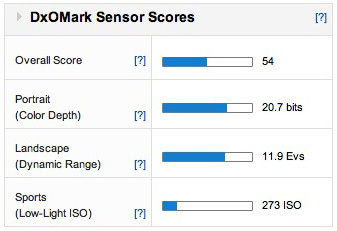 With a DxOMark a score of 54 points the 1/1.7-inch type BSI sensor is one of the best performing of its type. Although ranked 186th overall, when comparing with others used by compacts (albeit, including different sized sensors) it’s ranked in joint second place. It has good color discrimination (color depth) at 20.7 bits, a wide dynamic range, larger than most DSLRs of a few years ago, and a reasonable if not great low-light score of 272 ISO. Although it seems low, bear in mind this refers to the highest ISO sensitivity at which this sensor can achieve an SNR of 30dB while maintaining a still good dynamic range of 9 EVs and a color depth of 18 bits. 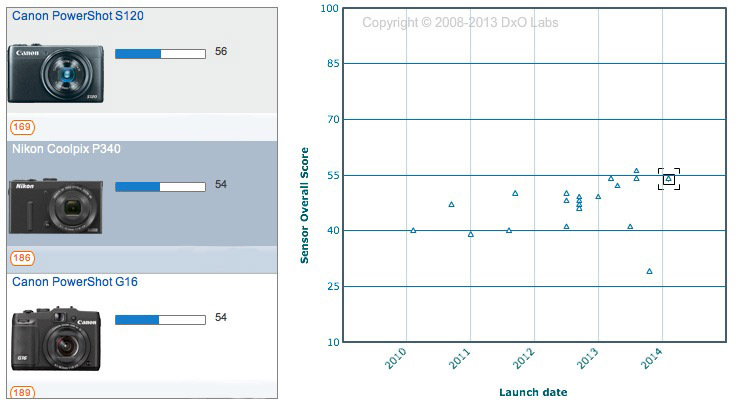 Higher is better, but this is a benchmarking exercise and perfectly acceptable images may well be produced above this sensitivity. While there are a few new models to include in our database, the Nikon Coolpix P340 is one of only a handful of compact models that can output Raw files, and it ranks highly of those that we’ve tested. In the lab there are measurable differences between this model and its predecessor the Coolpix P330 but in real world use it would be difficult if not impossible to tell the two apart. A 0.2 bit increase in color depth will be indistinguishable, and while a slight increase in dynamic range and the low-light ISO capability is welcome it’s safe to assume the new model shares a related sensor with its predecessor. As a model targeting enthusiasts the Nikon has to compete with Canon’s equally svelte PowerShot S120, a similarly priced and specified model. To that end, the two sensors of both those cameras are evenly matched. 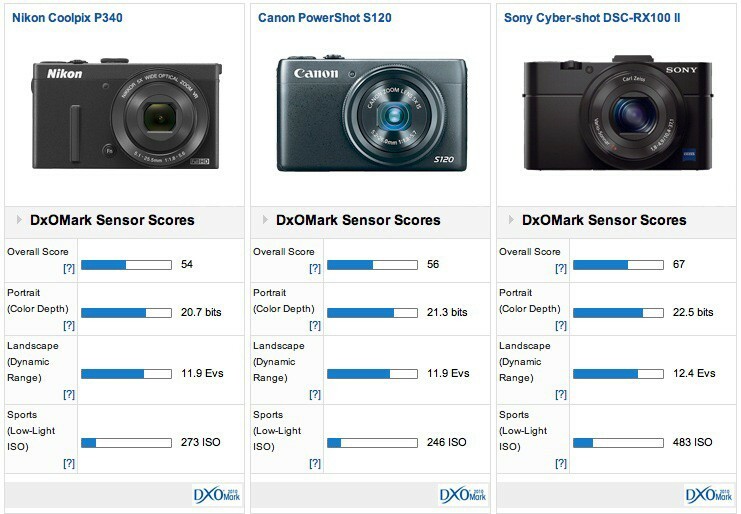 A two-point difference in DxOMark score is practically indistinguishable. While the Canon can boast of a slightly higher color depth, it also has a slight advantage in dynamic range at higher ISO’s (and not just the same DR at base). Low light capabilities however are too close to care about. 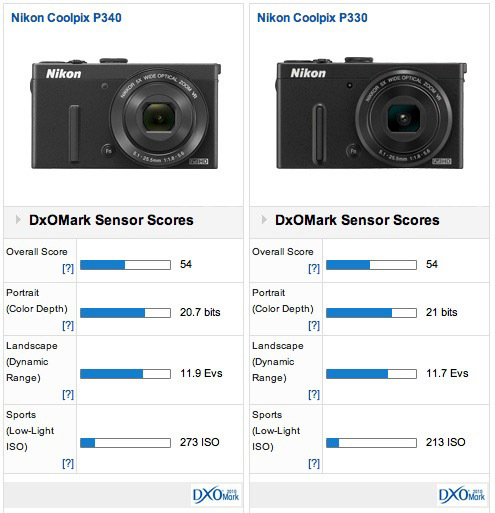 The Nikon has also to compete with Sony’s disruptive DSC-RX100 II. It has a much larger 1-inch type sensor (and ticket to match) a similar spec lens (24-100mm f1.8-4.9) and is similar in size if only slightly heavier. As well as the larger sensor, it’s a 20-Mpix device and has a noticeably higher performance in every case. It’s the one to beat but at $700 it’s not going to appeal to everyone. Most of Nikon’s work was achieved with the previous model’s revamp over the earlier P310, and this iteration is really only a mild reworking. The swapping of the built-in GPS unit for WiFi capability seems fair, and seemingly improved battery life but as for sensor performance there’s nothing between the two to choose from. It easily compares with similar rivals but the physically small size of the sensor means it falls short of the pricier Sony RX100 models.